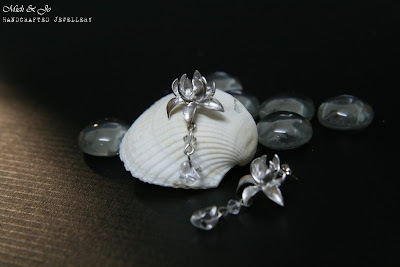 The flowers are silver-plated and imported from South Korea. They are earpost and not earwires. The droplets are clear glass bicone beads and quartz chips.